Atlanta Rocks! Youth Climbing Team - Atlanta Rocks! Practices are year round on Mondays and Thursdays from 6:30 pm-8:30 pm with lots of additional opportunities to climb on the weekends whether it’s a comp or an outside team trip.  Each year, boys and girls from all around Atlanta try out for the Atlanta Rocks! Youth Climbing team. Of those, a select group is chosen ranging in age from 9 to 17 to represent Atlanta Rocks in the competitive youth climbing world. When we first introduced the idea to our customers in 1995, we knew of no other organized teams in the United States. Many of our youth team members have competed nationally since then. We have had several members rank in the top 10 in their age group and one national champion. Being a member of the team is a one year commitment to training with two coaches twice a week while having opportunities to compete or climb outside on most week ends. We select team members based on attitude, climbing ability, effort shown, and potential. It is an excellent opportunity for those who don't normally thrive in "regular sports" because our team environment is based on supporting one another. They quickly learn to base their success on self improvement rather than how they rank with each other. The age range also helps to create a cohesive, family type atmosphere. Tryouts for the youth climbing team are in late August and are open to all. Atlanta Rocks! would like to congratulate the '18-'19 Atlanta Rocks! Youth Climbing Team!